Chesterfield 1 Accrington Stanley 2, 16/09/2017. Proact Stadium, League Two. 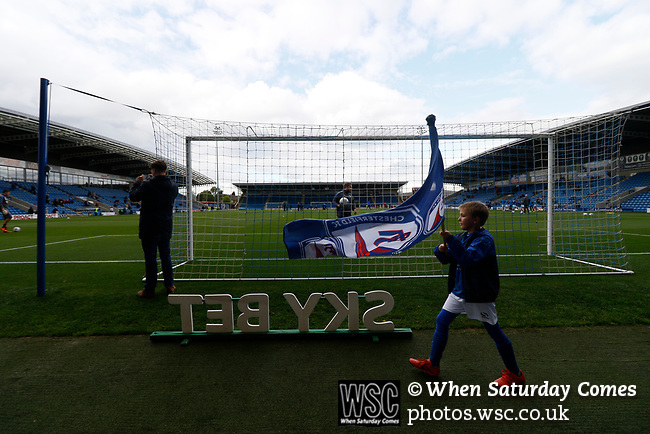 A young Chesterfield fan with a club flag walking past a freestanding Skybet logo. Photo by Paul Thompson.